Over 4,000 Irish language texts, comprising some 19 million words, make up the Historical Corpus of the Irish Language 1600-1926 which was officially launched by Chief Whip and Minister of State Joe McHugh. This online corpus of prose and poetry drawn from both published and manuscript material, allows users to read and download texts, and also to search for words across the entire range of texts in a variety of ways. 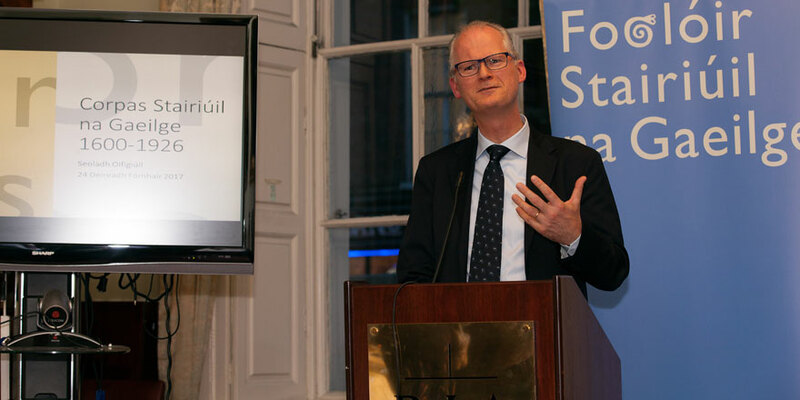 The corpus, available at corpas.ria.ie, will form the foundation for the compilation of Foclóir Stairiúil na Gaeilge / Historical Dictionary of the Irish Language, an Academy research project which is part-funded by the Department of Culture, Heritage and Gaeltacht.